Eine vollständige Liste aller am Institut für Mathematik verfassten Publikationen finden Sie in der Forschungsdokumentation (FoDok). 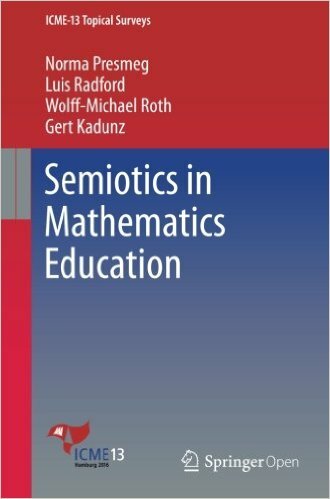 Gert Kadunz, Norma Presmeg, Luis Radford, Michael Roth: Semiotics in Mathematics Education. Springer, Berlin, Mai 2016. This volume discusses semiotics in mathematics education as an activity with a formal sign system, in which each sign represents something else. Theories presented by Saussure, Peirce, Vygotsky and other writers on semiotics are summarized in their relevance to the teaching and learning of mathematics. The significance of signs for mathematics education lies in their ubiquitous use in every branch of mathematics. Such use involves seeing the general in the particular, a process that is not always clear to learners. Therefore, in several traditional frameworks, semiotics has the potential to serve as a powerful conceptual lens in investigating diverse topics in mathematics education research. Topics that are implicated include (but are not limited to): the birth of signs; embodiment, gestures and artifacts; segmentation and communicative fields; cultural mediation; social semiotics; linguistic theories; chains of signification; semiotic bundles; relationships among various sign systems; intersubjectivity; diagrammatic and inferential reasoning; and semiotics as the focus of innovative learning and teaching materials. 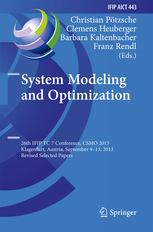 This book is a collection of thoroughly refereed papers presented at the 26th IFIP TC 7 Conference on System Modeling and Optimization, held in Klagenfurt, Austria, in September 2013. 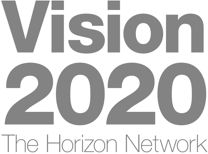 The 34 revised papers were carefully selected from numerous submissions. 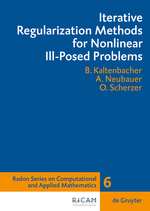 They cover the latest progress in a wide range of topics such as optimal control of ordinary and partial differential equations, modeling and simulation, inverse problems, nonlinear, discrete, and stochastic optimization as well as industrial applications.  P. Kloeden and C. Pötzsche (eds.). Nonautonomous dynamical systems in the life sciences. Lect. Notes Math. 2102 (Mathematical Biosciences Subseries), Springer, Heidelberg etc., 2013. Nonautonomous dynamics describes the qualitative behavior of evolutionary differential and difference equations, whose right-hand side is explicitly time dependent. Over recent years, the theory of such systems has developed into a highly active field related to, yet recognizably distinct from that of classical autonomous dynamical systems. This development was motivated by problems of applied mathematics, in particular in the life sciences where genuinely nonautonomous systems abound. 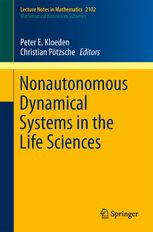 The purpose of this monograph is to indicate through selected, representative examples how often nonautonomous systems occur in the life sciences and to outline the new concepts and tools from the theory of nonautonomous dynamical systems that are now available for their investigation. C. Pötzsche. 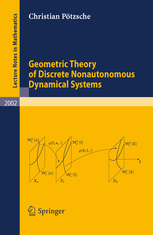 Geometric theory of discrete nonautonomous dynamical systems, Lect. Notes Math. 2002, Springer, Heidelberg etc., 2010. Nonautonomous dynamical systems provide a mathematical framework for temporally changing phenomena, where the law of evolution varies in time due to seasonal, modulation, controlling or even random effects. Our goal is to provide an approach to the corresponding geometric theory of nonautonomous discrete dynamical systems in infinite-dimensional spaces by virtue of 2-parameter semigroups (processes). These dynamical systems are generated by implicit difference equations, which explicitly depend on time. Compactness and dissipativity conditions are provided for such problems in order to have attractors using the natural concept of pullback convergence. Concerning a necessary linear theory, our hyperbolicity concept is based on exponential dichotomies and splittings. This concept is in turn used to construct nonautonomous invariant manifolds, so-called fiber bundles, and deduce linearization theorems. The results are illustrated using temporal and full discretizations of evolutionary differential equations. multilevel methods and Newton type methods. 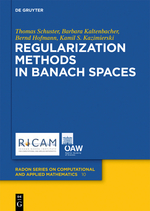 mathematical tools that are necessary to carry out an analysis in Banach spaces.